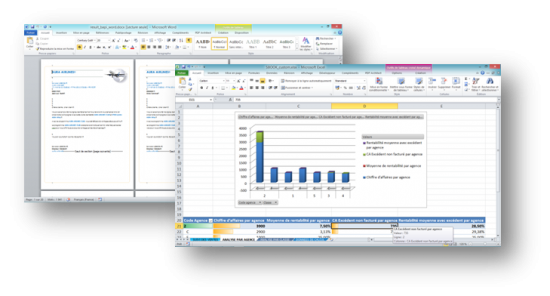 Launcher Xpress is a software component allowing developers to integrate document composition functionalities (on Word, Excel, PDF…) directly to their code. Launcher Xpress divides by 10 your developing time and enables better performances and higher applications reliability! Using Launcher Xpress, you are able automate many repetitive tasks regarding document creation and composition required by your applications. Files and reports can be composed and spread to recipients on demand or in batch mode. Layout optimization of generated files (customization and formatting) and automated multi-channel distribution. Easy to set up and deploy using familiar files templates and formats. Centralized processing, multichannel distribution, and document filing. Heavy cost reduction due to development time savings, repetitive tasks and document distribution automation.